Lisa Agnew is a Niagara area based artist and art instructor with an Honours Fine Arts degree from Brock University. She works mostly in acrylics, pastels and handmade paper. She loves to explore detail, shape, colour and texture by closely cropping images to present a new perspective. 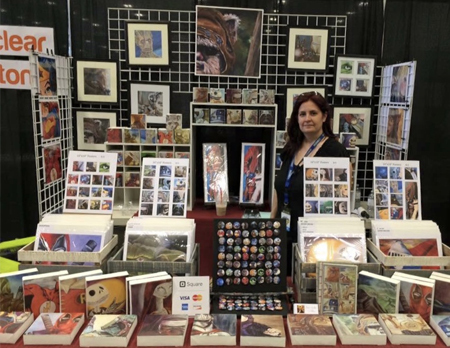 She mostly enjoys painting and drawing animals and creating fan art of her favourite characters from tv, movies and comics.